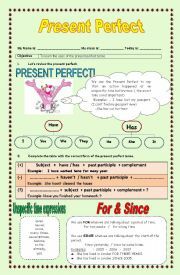 It´s contains many many exercises related to present perfect tense. 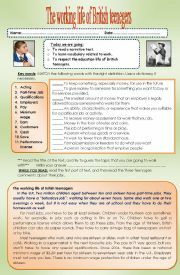 Beside, I has some explanations about the use of FOR and SINCE. 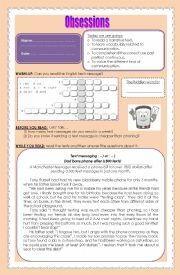 Finally, it has a mini test where the students can demostrate what they have learnt during the lesson. I am the best employee! 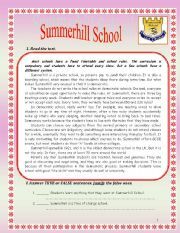 It´s a reading comprehension with true or false questions. Apart from that it contains some modal verbs. It´s a song called "Safe & sound" by Capital Cities. It contains the lyrics, the link, and some exercises related to it. I hope you enjoy it !!!! 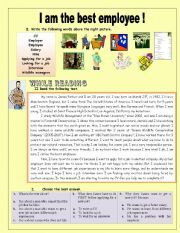 It´s a reading with some activities. 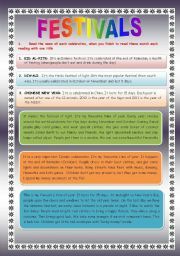 It contains information about three festivals and celebrations: Chinese New Year, Diwali, and Eid Al-Fitr. It´s a reading comprenhension. 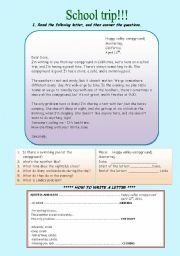 It´s contains vocabulary related to school trip; present continuous form, exercises related to reading comprenhension, and in addition it´s really useful for people who want to know how to write an informal letter. 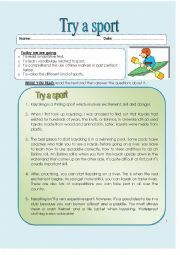 It´s a worksheet related to sports. 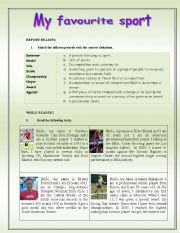 There are four short readings, following by some general snd specific questions related to the topic. 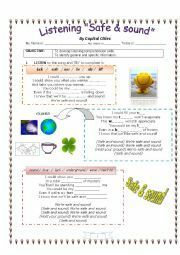 these activities help users understand the texts.